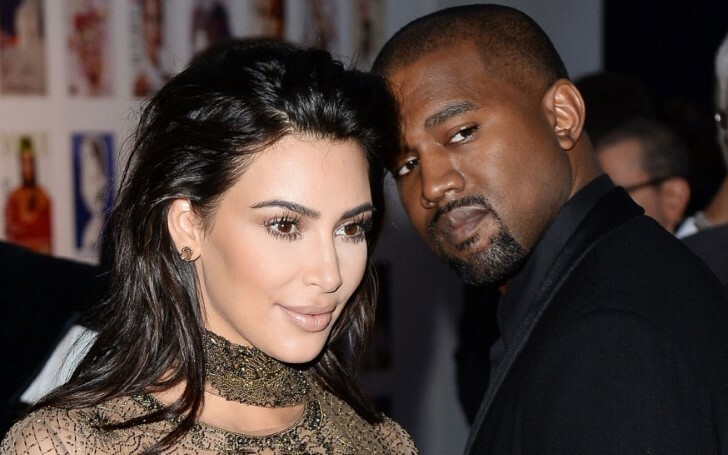 US reality TV star Kim Kardashian shares a sweet video of husband Kanye West performing Karaoke his own song. 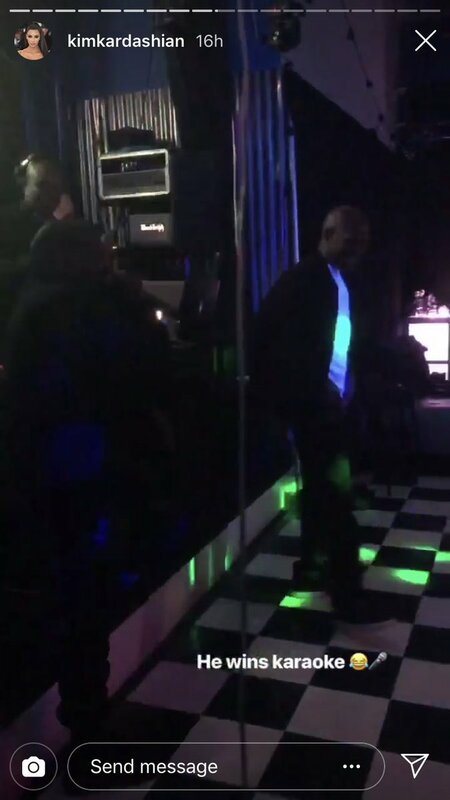 The millionaire reality TV star Kim Kardashian recently shared a video of her husband Kanye West entertaining the night away as he performed a karaoke to one of his own songs and to be honest we stan. The rapper knows what's up. During the couple attendance to one of their friends birthday party on Saturday, Kanye decided to steal the show by performing to one of his songs. Enjoying her husband in a spirit of singing to his 2007 hit 'Good Life', the enthusiastic wife Kim who likes flaunting her diamond grills, made sure to document the precious moment and shared the glimpses to the fans. In the short video clip, shared by the 38 years old star on her Instagram stories, Mr. West appeared all in the mood to party the night as he gave a surprising Yeezy concert. The 42 years old rapper who previously made a controversial tweet against another fellow artist Drake can be seen all smiling in the video donned casually wearing a black jacket and black pants. Accompanying the entertainer of the night as his face looks all red by the reflection of disco lights, a person is seen dancing and enjoying nearby Kanye as well in the video. Though the Keeping Up With the Kardashians star shared only a few seconds clip on her story, lucky fans were able to witness a longer version of his karaoke performance on the Instagram story of Khadijah Haqq McCray, a family friend of the couple. Apparently, Kanye's sister in law Kourtney Kardashian who recently grabbed attention by wearing a striped robe attended the birthday party as well. As a matter of fact, the soon to be the father of four kids spent the night photobombing his wife along with Kourtney. In one of the pictures, Kanye can be seen popping his head in between as Kim and Kourtney pouts for pictures. The news of their fourth child who they will be welcoming through surrogacy was announced earlier this month.